Mexican Journal is third in series of volumes to be published over the next ten years as a complement to a proposed online hypermedia edition of the Collected Works of P.K. Page. The online edition is intended for scholarly research, while this first published print edition offers an artful text intended to be enjoyed by those few who cherish and wonder at the talent of one of Canada’s greatest poets. We are told that on a clear day you can see Popacatapétl – El Popo as he is called by the natives – which makes him sound to me like a rather more masculine Pope. Down the Reforma too, on a Sunday, with all the populace out, are the balloon men suspended from great clouds of balloons of the most elaborate variety – balloons most strangely painted or nippled or tufted – unlike any balloon I have ever seen. And the Indians – in sombreros too, the women with pigtails, moving along this lovely avenue. The Indians here are very impressive. No wonder Lawrence was fascinated by their skin colours. Our driver – Guillermo, who has driven for Canadians since there was an Embassy – is small, immensely dignified, serious, Lawrence’s ‘obsidian’ eyes, long-faced, and with skin – peach-like in quality but as if when peeled it would disclose a blood orange. The two servants in the house – brother and sister – Erasmo and Engracia – are less rosy orange. He has not the obsidian eyes of Guillermo, but his eyes are watching and full of wonder. I am impressed by them all. They are helpful, quiet, patient and very hard working. I may be quite wrong but I get the impression they are full of good will. This is a strange reaction because these are a strange people, I know, descendants of a people who made human sacrifices, practised ritual cannibalism and who may, for all of me, do so still. The name Quetzalcoatl is spoken often enough, goodness knows. The house is a headache. It has not had a woman in it for a long time and shows it. Also we’re in the throws of a minor redecoration for the Prime Minister. The Government is loath to spend money, so the minimum is being done. A great mistake in my opinion. The house in itself is hideous. On top of that it is in bad need of repair, colour and everything else. But we can spend little. The Canadian decorator who is here is a nice enough boy but with the very worst qualities of Canadians. He is afraid of anything distinguished, has a deep reverence for the ordinary and on top of that thinks in terms of furnishing as filling a room with furniture – not necessarily furniture which serves a necessary function. However, we shall do the best we can. As the climate here is dry we can – personally, I mean – buy furniture if and when we see it, as well as rugs and pottery etc. and make the place nicer. In Brazil we didn’t dare for fear of it all cracking in Canada. I feel I have a little tribe of Indians living in my house. Another little tribe is busy painting it – its chief is a brother of Diego Rivera, I am sure! A wonderful little man who fills me with great pleasure. The meeting between him and Arthur so full of dignity and feeling it nearly broke my heart. One cannot help comparing this with Brazil. It is nothing like as beautiful at first glance. Perhaps time will make it more so. It has not the sea to begin with; also, because it is dry it has not the lushness of a tropical city. Many of the trees are gums. The architecture does not compare with Brazilian. Large buildings here are just large buildings – immense in conception but architecturally disappointing. University City which we drove to see yesterday is impressive by its size, by the number of murals, by its situation, and by its library – a cube elongated vertically with its four sides completely covered by mosaics of Mexican stone – the colours running through the earth colours to white, grey and grey-blue. The whole scope of the university is fabulous – immense swimming pools, football arenas, jai alai courts – but somehow everything is lacking in creative imagination. Nearby on what was once a vast lava field is a new real estate development called Pedregal which is one of the most fascinating and strange places I have ever seen. Many of the houses and the high walls which surround them are made from stones of lava put together with cement – often pink or blue or green, so you get this queen brown black held together with soft delicate dirty pastels. Sometimes the lava stones are painted these dirty colours to blend with the landscape – a sear dried-out wonderful world of grasses and plants with pods or tangled briars – all no-colour, greybrownblack and in their midst a small bush, stubby-fingered, each finger tip bursting into a head of brilliant yellow – and the weird colorin trees, their trunks like stylized human forms in strange positions and a burst of thin branches above on which perch bright artery-red flowers like birds. All the houses in Pedregal are low – almost subterranean in feeling and surrounded by walls. It is as if it is a submerged ruin of a city, but all ultra-modern, and hermetic hermetic. Little ponds hollowed from the lava float ducks purely for decoration. I can hardly wait to get at it with camera and pen. Rich man’s rubble. The old city – the Spanish city is equally walled – more walled. You can see nothing of the houses behind. It is all so very secret. Today we lunched at the German Embassy a most beautiful house and it was enjoyable. I saw some of the marvellous gunmetal pottery made here, the incredible copper pots, old blonde wood chests, woollen carpets, and Indian saints. I can hardly wait to move into Mexico and out of the tourist areas which we have largely inhabited since arriving. ‘Black, black, black is the colour of a Mexican night,’ wrote P. K. Page on March 10, 1960 to open Volume I of her Mexican journal (000). Two and a half years later, on September 9, 1962, Page began Volume II by introducing gold: ‘This week mainly notable in my life for producing my first piece of presentable gold leaf. Very exciting. Hardly drew a breath once. They call it oro volador – flying gold’ (000). Page’s retrospective comments about Mexico stressed its darkness in contrast to the light of Brazil, the previous diplomatic posting held by Page and her husband, Canadian Ambassador Arthur Irwin. In Hand Luggage,published in 2006, she reiterated the motifs of light and dark established over the years in her narrative of Mexico functioning as a shadow to Brazil: ‘I have said it before – if Brazil was the day / then night followed next’ (81). Although the Mexican journal does record and probe the darkness identified by Page, it also contains ‘flying gold’, and various other versions of gold, as well as a multitude of vibrant colours, thus complicating the insistence on an overriding and persistent darkness. It was through this darkness, however, that Page eventually reached a brighter realm than any she had previously inhabited. Throughout these Mexican years Page’s most consistent role was actually that of writer, a vocation she viewed at the time as suspended because her poetic voice had been silenced. Although she presumably dismissed journal writing as unworthy of serious attention due to its informality and intimacy, she did write with an audience in mind. She refers, for example, in a passage not included in this edition, to a very vague and distant reader, in her recommendation of The Once and Future King to ‘anyone who sees these notes who has not already read it’ (000). She does not go so far as to assume or name readers of a formal journal, envisioning instead a casual eye that may simply overlook her ‘notes’. With the publication of these ‘notes’ as Mexican Journal in 2013, fifty years after they were written, the journal reader is brought into focus and existence. Such a reader will note a continuation of some of the subject matter found in Brazilian Journal, such as Page’s assessments of her development as a visual artist and her struggle between a strong aesthetic appreciation of surfaces and a social concern with what lies beneath. Mexican Journal provides insight into Page’s visual art, specifically the methods and materials of her drawing and painting during the period. It also affords valuable glimpses into a personal life caught in, but moving away from, attitudes of western privilege and colonialism. 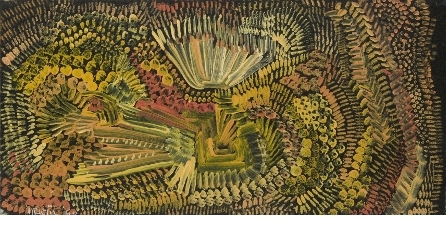 Most astoundingly, Page’s personal experimentation with methods of opening up a ‘fourth dimension’, which began in Mexico, offers a candidly personal narrative, referring to the works she was reading, to activities taking place in Mexico at the time and, most notably, to Subud and Sufism in the early 1960s. Page repeatedly refers to her deep fascination with works by Ouspensky, Gurdjieff, Huxley, Krishnamurti, Jung and Saint Teresa, among others. She is aware of and interested in local practices, including the taking of mushrooms. In 1963 she writes about Timothy Leary’s LSD experimentation in Mexico, considering various accounts and anecdotes about the effects of the drug. Her eventual involvement in Subud, and then Sufism, marks her transition from a reader and observer of the fourth dimension to an active participant.